You must make reservations at least 5 minutes in advance of the time at Redwood Steakhouse. 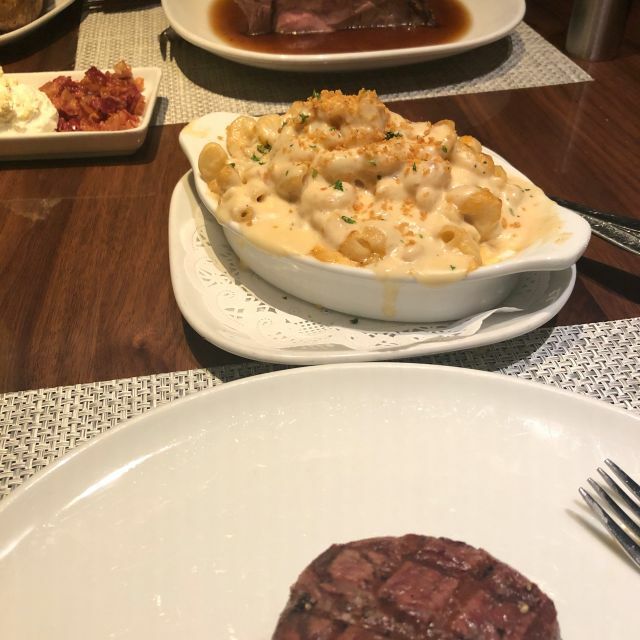 The Redwood Steakhouse is a fine dining experience not to be missed. 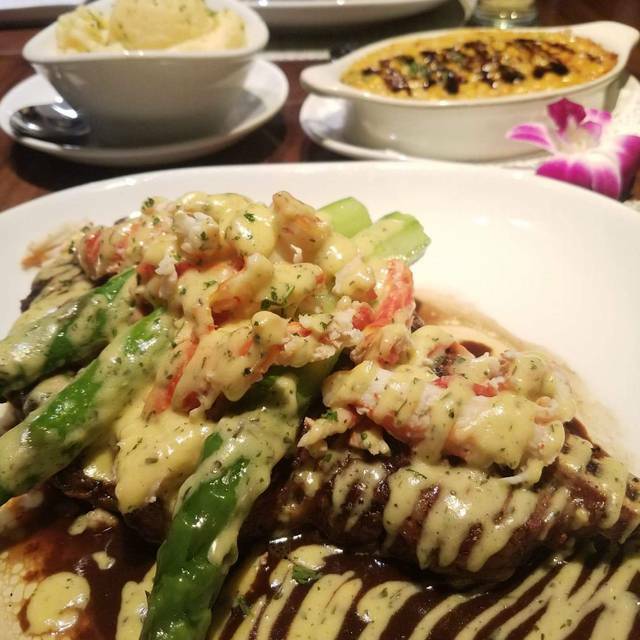 Our menu offers a wide range of steaks, fresh seafood, and chops. The amazing side dishes are large enough to share and you"ll want to sample each one! 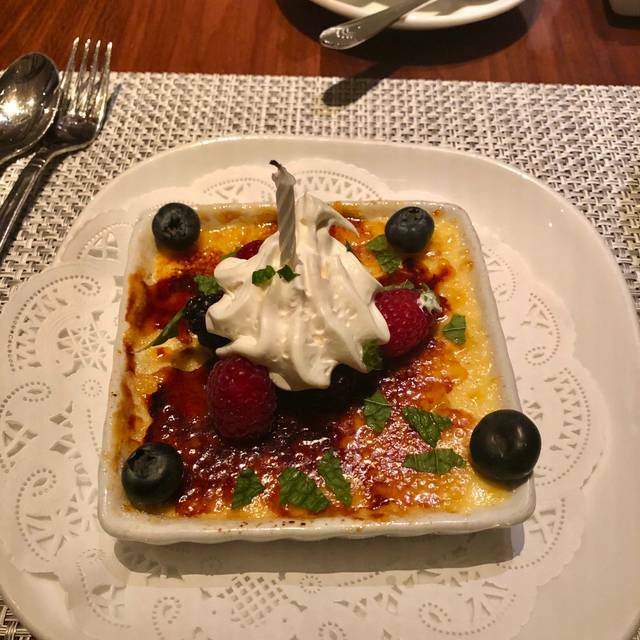 With delicious dishes, tempting desserts, and a warm atmosphere, be sure to make your reservations for tonight at the Redwood Steakhouse. I have been going to the Redwood, since I was little, with my parents. I haven't been in awhile and wanted to experience it again with my Husband and Son. The decor is different, but the food is still delicious! The staff is awesome and I love how they don't rush you with ordering. Your able to enjoy your drinks and appetizers. Dining at the Redwood brought back many fonds memories. One of Vegas's old great restaurants. I had the New York Steak and the Redwood potato fries. Both were very flavorful and cooked perfectly. It was enjoyable! 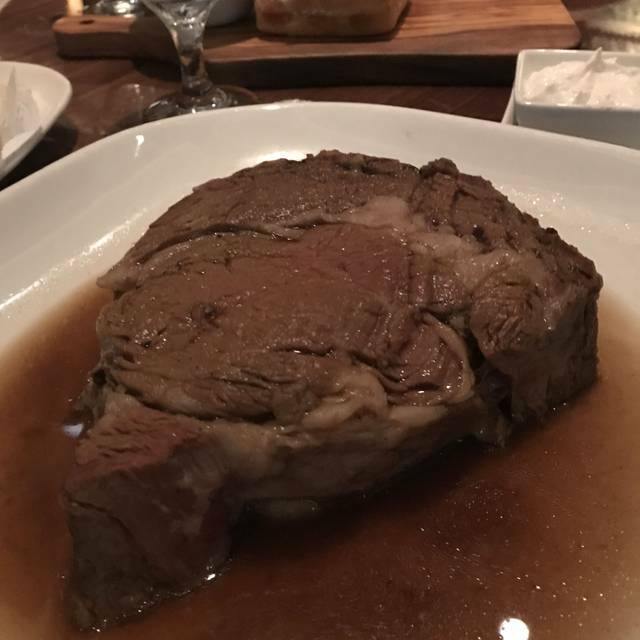 Very good as always, great bone in ribeye, great french onion soup. Wife loved the seafood cioppino and wedge salad. Mushrooms are great as a side. We had excellent service and the best steaks. Our meal wasn't as pricey as some steakhouses and we got the same quality as the expensive ones. Our service was excellent and the margaritas were very good. We’ve been dining here for over 30 years! Never fails to impress ! Awesome service and fantastic food! We enjoyed this restaurant and food so much!!! We went back a second time the same trip. Our server, Darren, was amazing. So professional and courteous. Food was excellent!!! Couldn't recommend this more. We always have at least one dinner at the Redwood whenever we stay at the California Casino. 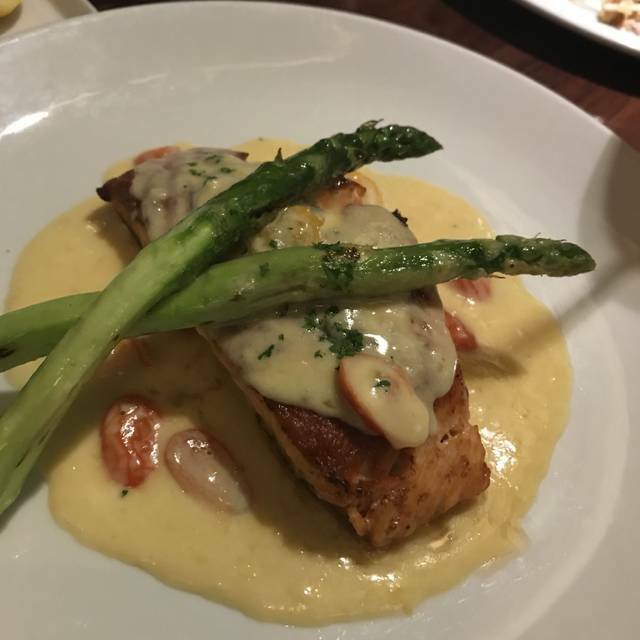 The food, atmosphere, and service are always excellent. Very relaxing. The king crab legs are delicious. My husband usually has the filet mignon and he enjoys it. Food was a good value, table was too small to accommodate our appetizers, drinks, bread, sides and main entrees. After we were done eating, while my husband was still finishing his coffee, we were asked to leave...”times up”...couldn’t believe there was a time limit. There was no waiting customers, a lot of empty tables, we weren’t loud or obnoxious, we did tip our server over 20%....really shocked us and left a poor impression on us. We are regulars at the Cal...can’t understand this..!!! Excellent service.. Keep up the Good Job! Lobster was not cooked well..
You should have Clam Chowder everyday! The steak was cooked to perfection, loaded baked potato was also perfect, the service was excellent. RECOMMEND! Had the prime rib. It was tender, juicy and yummy. My son had the braised shortribs. He loved it but felt he could've eaten another piece. Looking forward to our next Vegas trip. Redwood Steakhouse was our best meal there! Food is delicious and plentiful. It’s pricey but we expected that. We split a rib eye and then each had a spinach salad. Then we shared creamed corn which is delicious and a baked potato with All the fixings. We were as full as a buffet with better food. Excellent food and cooked perfect. 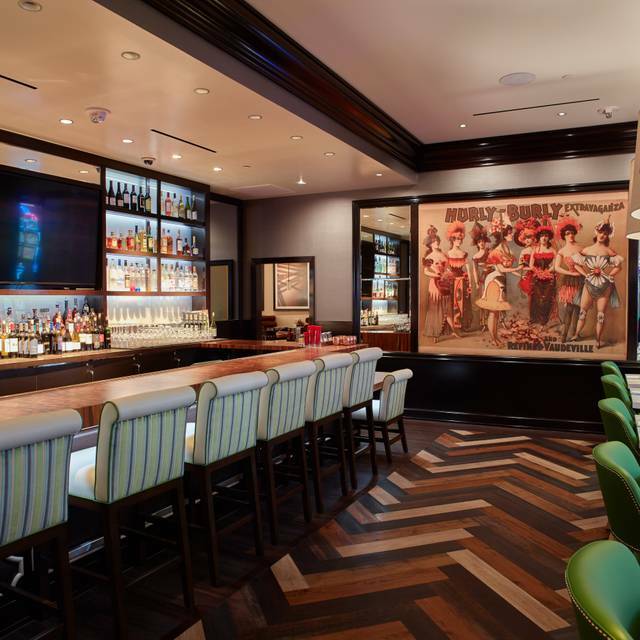 Pricing is in line with most steakhouses and the amount of food. It was very relaxing, the food was delicious and the service was excellent. Good food and very relaxing. Would go again. Recommend if you like crab and steak. Restaurant was very busy so had to wait almost 1 hr. for meal to arrive. Disappointed that the lobster lacked flavor, was overcooked, dry and rubbery. All other dishes were great along with the attentive, professional waiter. Amazing!!!!! So much food and so yum! We had a great meal!!!! Delicious food! Enjoyable and quiet. We would go back. This is an amazing hidden gem. It is off the strip and well worth the drive . We enjoyed it immensely. As always the food here is excellent as is the service. Love the bread with baked in butter. I always eat the chioppino and it’s always perfect. Bone in rib eye is very good as are their sides and appetizers. Everything was excellent. Reception, service, food, drink all excellent. Recommend the rib eye and the 18 yr old Macallan! I absolutely love this place! The same great chef since opening about 30 yrs ago who’s created an amazing menu. Highly recommend this place!! Two thumbs up!! We have eaten here many, many times. I have also reviewed this place many times too. But I thought I would add something here. I just recently noticed an appetizer on the menu called "pineapple shrimp". Its descriptions is essentially "tempura fried shrimp, garnished with chilis and spring onions, and served on a bed of pineapple sauce". Well, I am not a fan of any kind of fruity dish (even duck l'orange) but I do love shrimp tempura and chilis. So I ordered this dish without the pineapple sauce, but with extra chilis, and with a little bit of soy sauce on the side. IMO this is a winner dish. The chilis are wok fried a bit, and they garnish five shrimp tempura pieces, along with some spring onion slivers. When I ate them with the chilis and dipped them in the soy sauce, I thought that they really had a winner here. Chef Henry might not approve of my modification to his dish, but I liked what I had done! This is our favorite steak house in Vegas. Our waiters - Darren and Aurelias - were absolutely awesome. 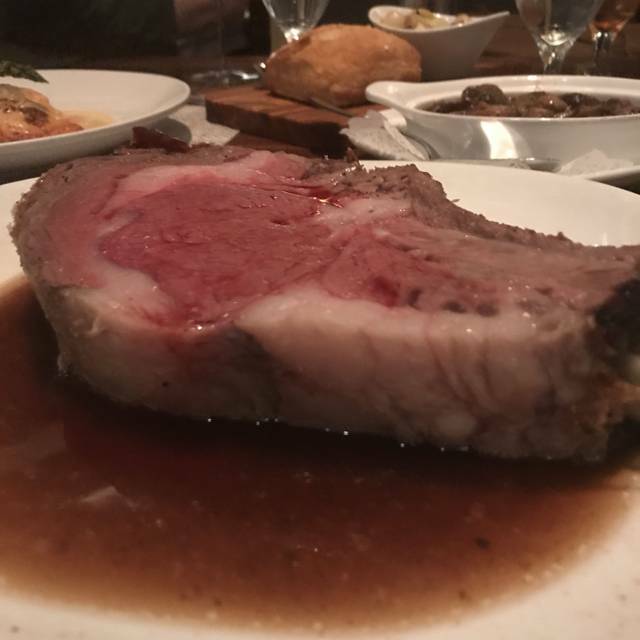 Food was perfect - best prime rib I have had in Vegas. also great value. I regularly recommend Redwood to anyone going to Vegas!! Answering for my wife Carrie ...enjoyed a pleasant dinner for her birthday. Food and service were good. Server had French onion soup, baked potato, steak and lobster split for us. Would’ve been nice to have her bday recognized with a small dessert or ice cream. This is one of the best restaurants in downtown Vegas! 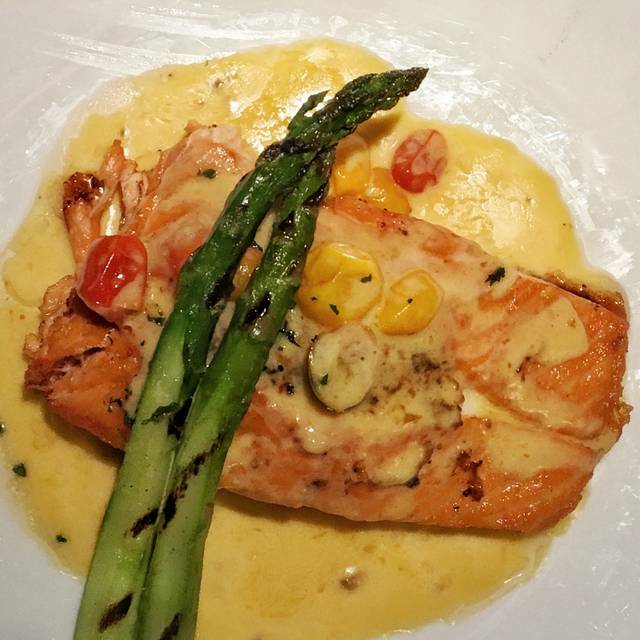 From the outstanding service to the delicious food, it’s hard to beat. My wife and I had their Valentines special. Marvelous! We both had the prime rib and it was cooked to perfection. A great place! Always good. Food is consistently good. Prices are all ala carte so if you are not on comp, it can get expensive. We always like it here. Ordered lobster. It was tough and dry. Their food is usually great but this time it was bad. Another Great experience at the Redwood Steakhouse. The Prime Rib was so tender and delicious as well as the baked chicken. It was the first time that I have tried the Creamed Corn. That will now be my go to. The Service was Excellent. Both our Service and his Assistant were so friendly and efficient. We definitely will be back in April when we visit there again. The food at the Redwood is always excellent. Steaks are cooked to perfection. Our server Janelle is outstanding, seeing to our every need. I recommend Redwood to everyone . We love dining at this restaurant. The service is excellent from the lovely host (Dely), bus lady, bus boy, and to our waiters Hilario and Jesus. They are all very attentive and always making sure we have everything we need. The food is amazing, great quality. We have dined at numerous steakhouse restaurants and this by far exceeds our expectations. Just excellent. The rib eye steak was fantastic. The best I've had at a out. I’m a Vegas local so I know a good restaurant when I experience one. This was an excellent, decently priced steak and seafood restaurant. If you’re in downtown Vegas and feel the need for a dozen oysters or a seriously nice filet mignon, this is the place for you. You’re welcome. 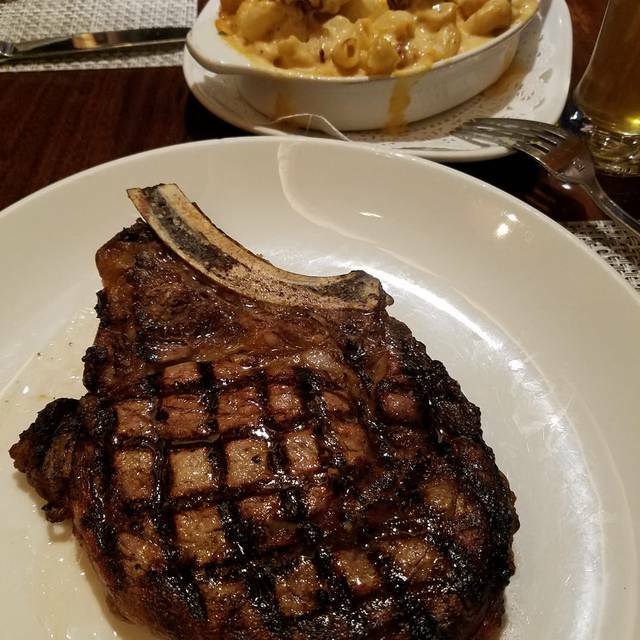 I had the bone-in ribeye steak. Perfectly cooked, accompanied by asparagus that was juicy and tender. My wife had the sea bass, which was extraordinary. The price was most fair, especially considering other Las Vegas steakhouse menus. My wife and I will definitely return.